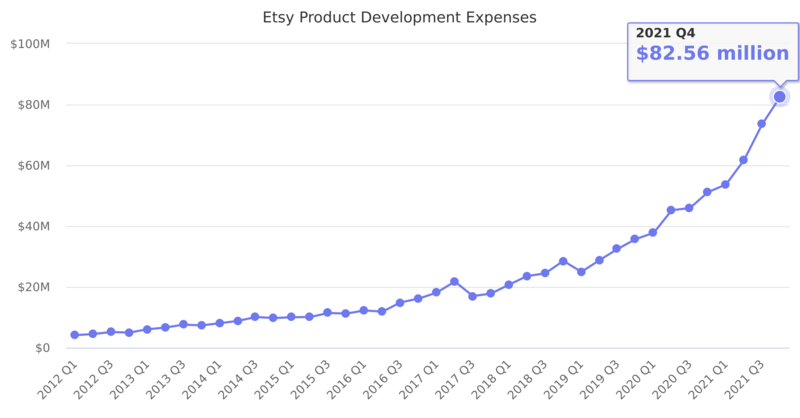 Product development is used to both innovate on Etsy's main website, but also on developing new initiatives. Last reported quarter 2018 Q3 it was $24.42 million, up by 44% year-over-year from $16.96 million. From $55.08 million in 2016 it increased by 35% to $74.62 million in 2017.